RYXSKINCERITY REJUVENATING SET/ BE YOUTHIFUL STARTER KIT. THE TRENDIEST REJUVENATING SET! RYX BEYOUTHIFUL STARTER KIT IS NOT YOUR ORDINARY REJUVENATING SET. 💯• Safe for pregnant and lactating moms. 2x Liz Earle Superskin Concentrate For Night Facial Oil 10ml (20ml total). Brand new. Condition is New. Dispatched with Royal Mail 1st Class. Mary Kay Extra Emollient Night Cream. We are not affiliated with, nor endorsed by Mary Kay Inc. 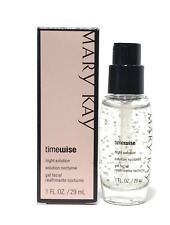 Most of Mary Kay products are not factory sealed. SUPERSKIN CONCENTRATE FOR NIGHT - 10ml ROLLERBALL. NEW, BOXED PRODUCT RECEIVED DIRECT FROM LIZ EARLE IN APRIL 2019. (TRAVEL SIZE 30ML. 100% GENUINE ITEM. 100% AUTHENTIC. Expiry is indicated by a number of months from opening). Part of our Rhodiola Rosea range of daily care for sensitive skin. This light-weight night cream deeply rejuvenates the skin over night, making it beautifully soft and younger looking. Suitable for Vegetarians and Vegans. Liz Earle Superskin™ Concentrate for Night Moisturiser 10ml Rollerball. Condition is New. Dispatched with Royal Mail 2nd Class. Soin de nuit nourrissant. Nuit après nuit, votre peau retrouve sa souplesse et son équilibre. Tube 30 ml. Ingrédients star Vitamine E.
(excludes samples). We are very serious against false claims. Any attempts with intend to manipulate our system will result in appropriate repercussions. No exceptions. We are very serious against false claims. Any attempts with intend to manipulate our system will result in appropriate repercussions. [ Mizon ] Good Night White Sleeping Mask 80ml. with Mizon hologam sticker on the box as older version. Apply on face and then sleep. Active rejuvenation is around 10pm-2am. Apply during these hours. Crema notte ai sali del Mar Morto. Consigli per l'uso : applicare la crema alla sera dopo la pulizia del viso con un leggero massaggio circolare. Ideal for use whenever skin needs a boost, it has a sensual, calming scent which is perfect for relaxing the senses before you sleep. Active ingredients include essential oils of Basil to purify and heal the skin, Neroli to soften and Camomile to prevent the appearance of dark spots and calm the skin, plus Tonka Bean to boost micro-circulation. TOŁPA DERMO FACE SEBIO NIGHT MASKSEBUM BLOKER. TOŁPA DERMO FACE SEBIO NOCNA MASKA BLOKER SEBUM. Nocna maska bloker sebum łączy w sobie moc koncentratu z żelową konsystencją maski, dzięki czemu głęboko wnika w skórę. Elizabeth Arden Good Morning Skin Serum contains soothing and replenishing botanical extracts to help soften, hydrate and brighten the skin. Elizabeth Arden Good Morning Skin Serum 15ml. Expect signs of aging to reduce to leave the lip area smooth and youthful. Mit Hilfe von Sauerstoff und einer Extraportion Feuchtigkeit, reinigt WUNDERTOX die Haut - für ein erfrischendes Gefühl. Das Gel verwandelt sich innerhalb von Sekunden zu einem feinen Schaum. 2 minute cleansing mask. Kiehl's Midnight Recovery Eye. Anti ageing. Feuchtigkeitspflege mit Anti-Aging-Wirkstoffen bekämpft sieben Zeichen der Hautalterung hilft, eine jugendlich strahlende Haut zu bewahren verbessert den natürlichen Selbsterneuerungsprozess der Haut über Nacht fettet nicht und zieht schnell ein Inhalt: 4x50ml Neuware . NOW PARABENS FREE! Calendula is valued for its antiseptic qualities. Regular use of this cream will soften and nourish rough, dry and sensitive skin. 2000iu (international units) of Natural Source Vitamin E in 100grams. OVERALL CONDITION IS MUCH BETTER THAN EXCELLENT. This velvety cream works to reinforce skin’s structure for smoother, brighter, more even toned skin. Featuring AHAVA’s VF Brightening Accelerator™ complex of AAG2 stabilized vitamin C, niacinamide, and zizyphus jujube fruit extract to help the skin reduce the appearance of dark spots and accelerate cell turnover plus peptides to smooth and reduce the appearance of lines and wrinkles. Renew and replenish your skin while having your beauty sleep with our Snow Cladonia Night Cream. Natura Siberica. Extract of wild harvestedSiberian Dwarf Pine is rich in vitamins and thus acts as powerful ally in the fight against free radicals, aging, and dehydratation.Organic Calendula extract has anti oxidant effects and stimulates cells regeneration. Biotherm Skin Oxygen Strengthening Concentrate Serum für alle Hauttypen,10 ml ,neu und unbenutzt ! 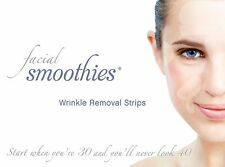 Age spots and wrinkles diminished noticeably. Purple Emu Facial Cream With Emu Oil thickens the derma to help reduce the appearance of fine lines and wrinkles. 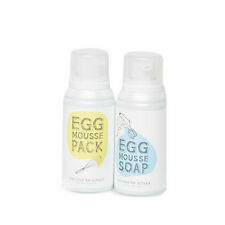 Gently massage into skin until absorbed. Reinforce your skin’s nightly renewal, and help recover the luminous look of youth over night. A powerful recovery concentrate serum that calms the look of irritated, stressed skin. Vitamin E - Vitamin E is a vital nutrient not only for good health but is also indispensable for the maintenance of healthy skin. Shea Butter aids in the skin’s natural collagen production and contains oleic, stearic, palmitic and linolenic acids that protect and nourish the skin to prevent drying. Then, gently tab to enhance the absorption. How to Use. Colour: Transparent (Free of Chemical Colouring). Scent: Unscented (Free of Chemical Fragrance). Marbert 24h AquaBooster Feuchtigkeits-Serum, 50 ml, naglneu und unbenutzt! The BOX may be wrinkled (see photos). Apply it up under the chin and jawline. Continue to massage it up behind the ears and around the eye area. SIZE - 2.5 OZ. The pictures shown are of the actual item you will receive. NEW / UNSEALED / UNUSED. Give a soft and silky touch to your dry and dull skin by using the Extra Emollient Night Cream. The Extra Emollient Night Cream contains mineral oil that conditions your skin and makes it soft. The Extra Emollient Night Cream includes Carnauba Wax that prevents your skin from drying. DISCONTINUED EXTRA EMOLLIENT NIGHT CREAM.